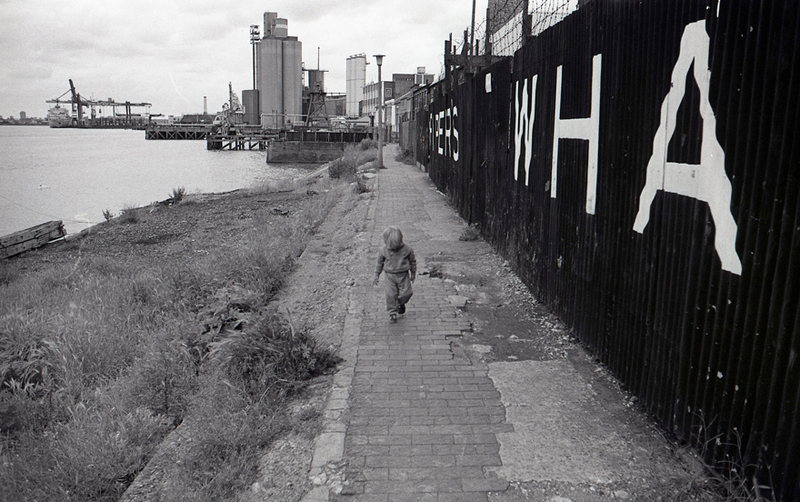 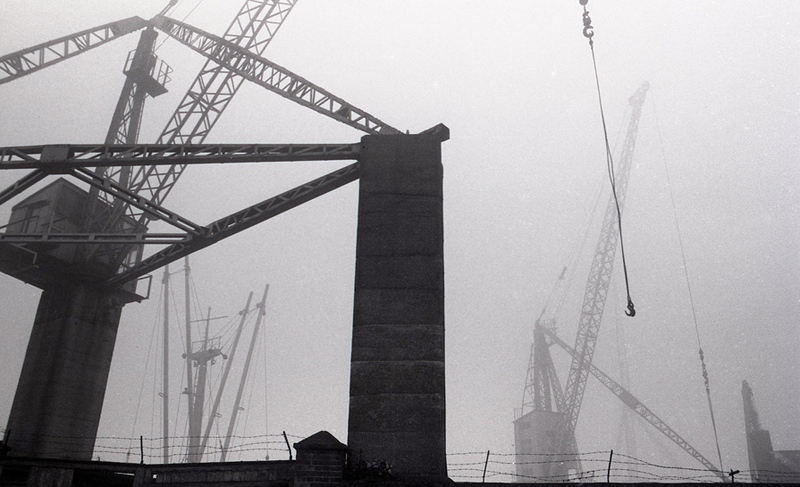 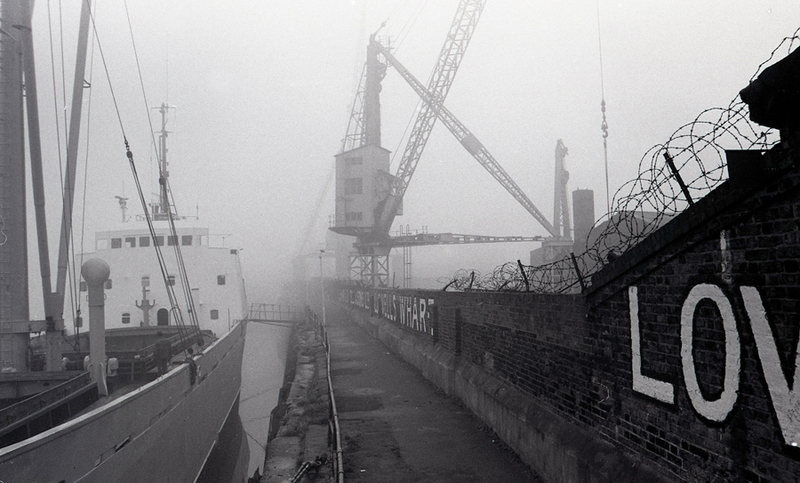 records of a lost industrial past that has disappeared forever. 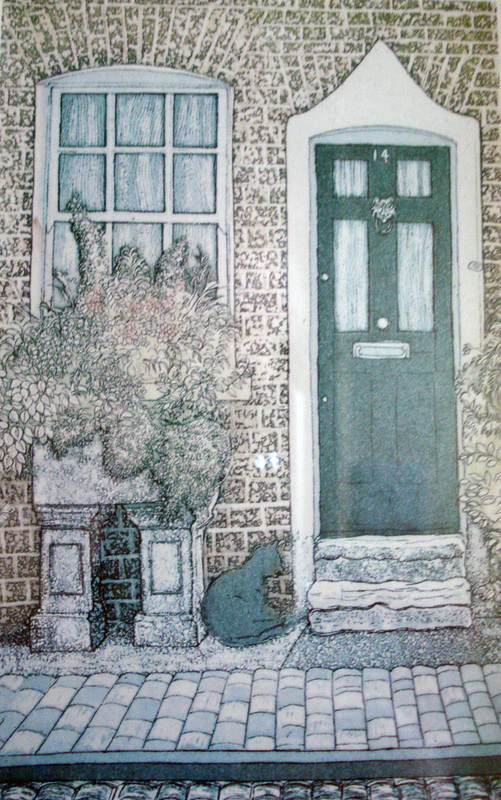 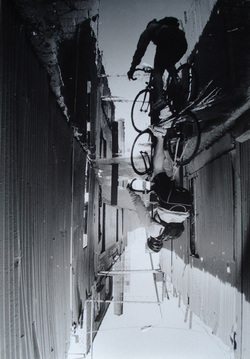 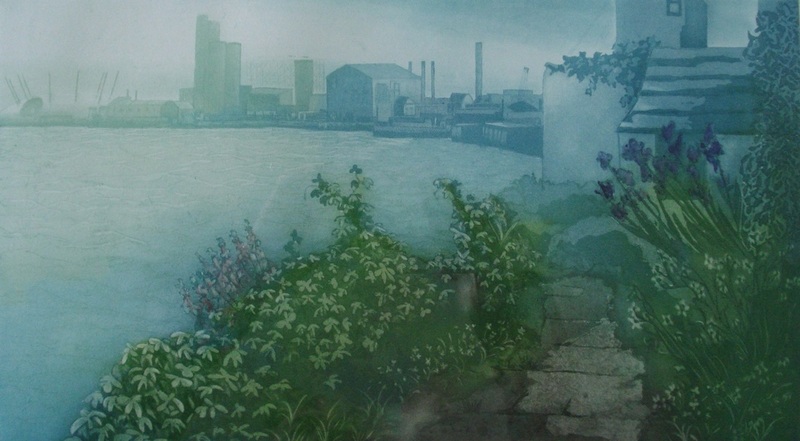 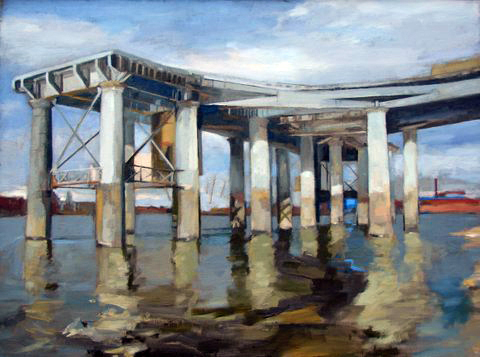 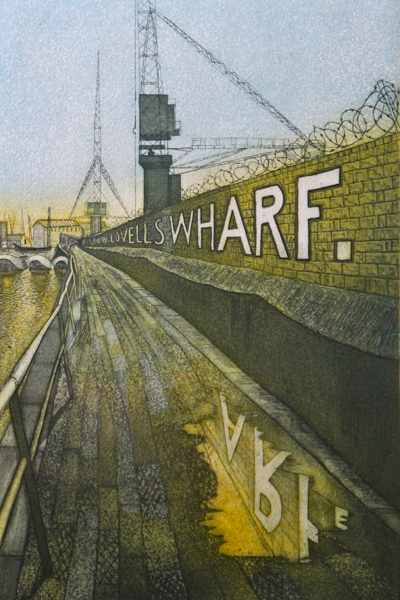 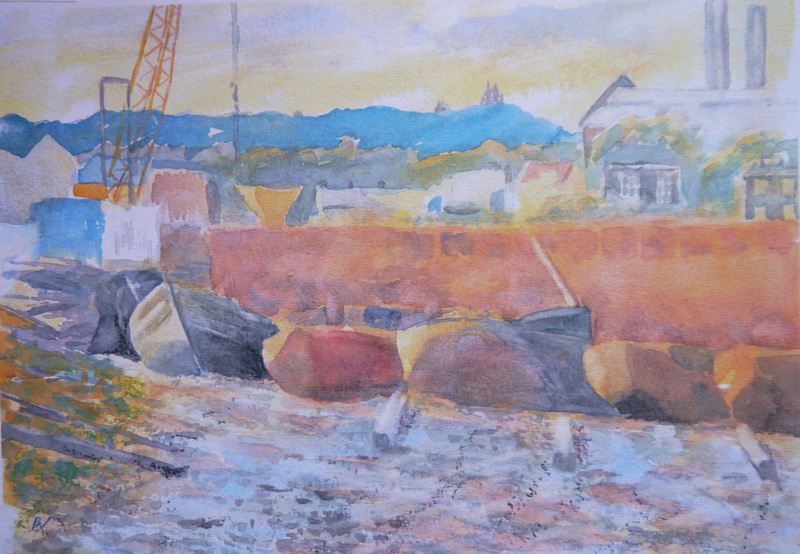 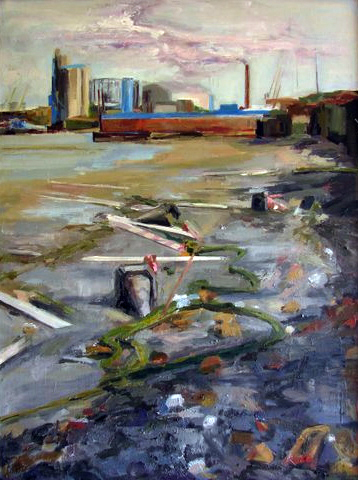 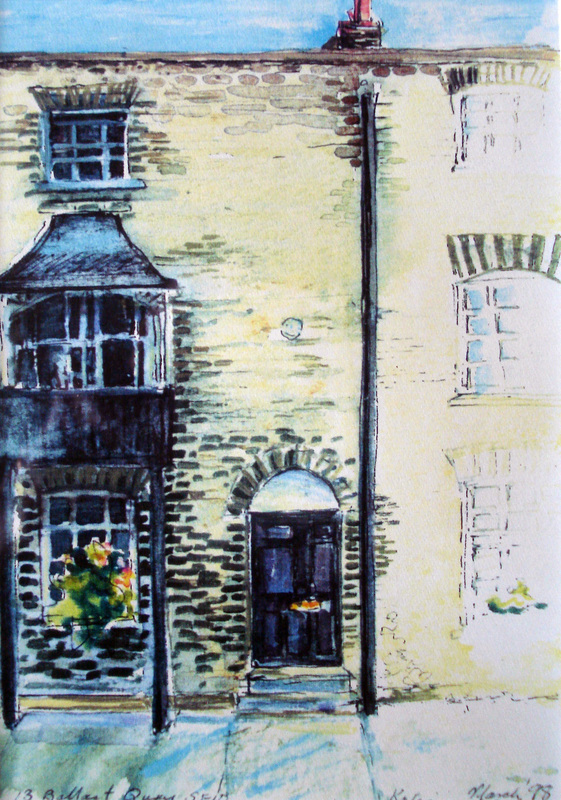 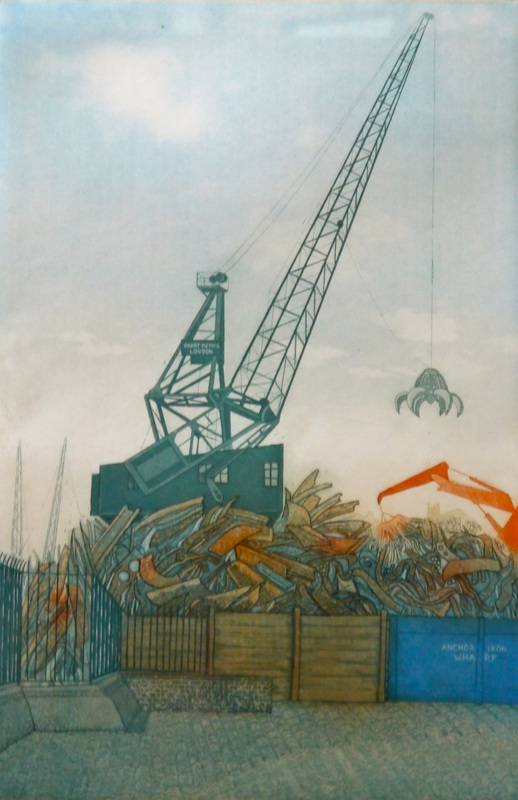 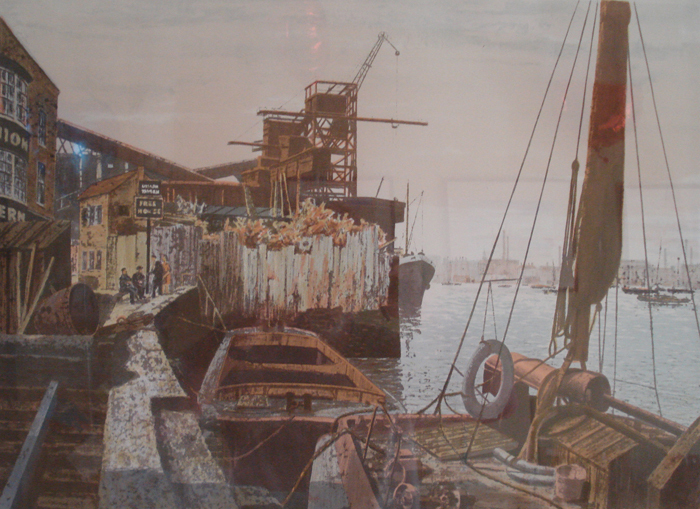 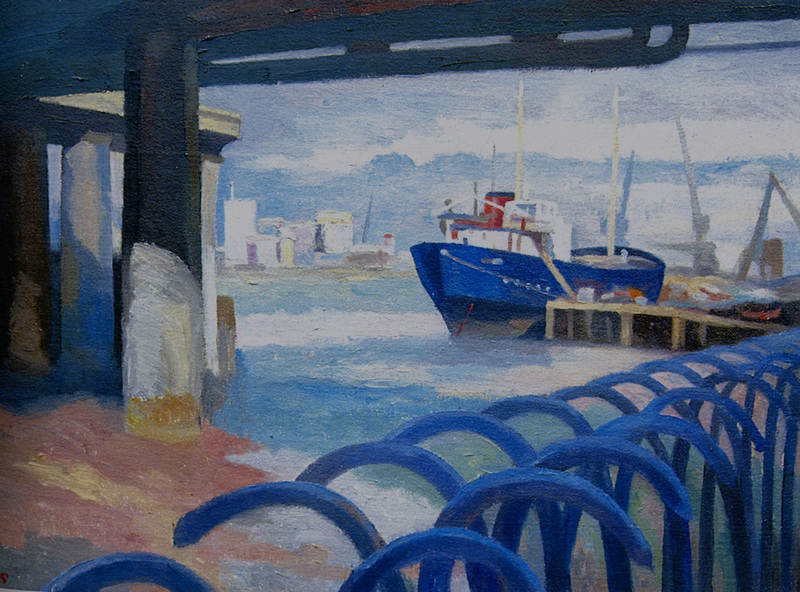 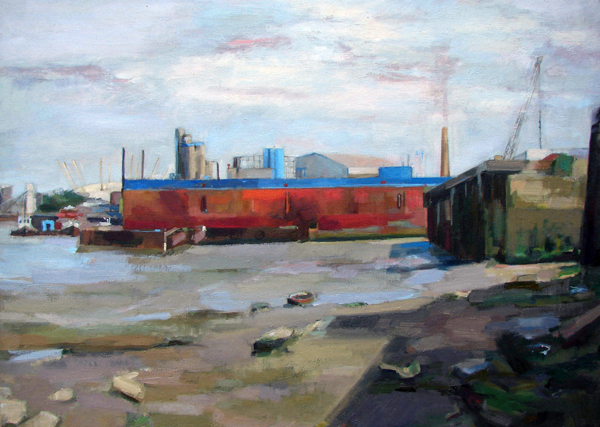 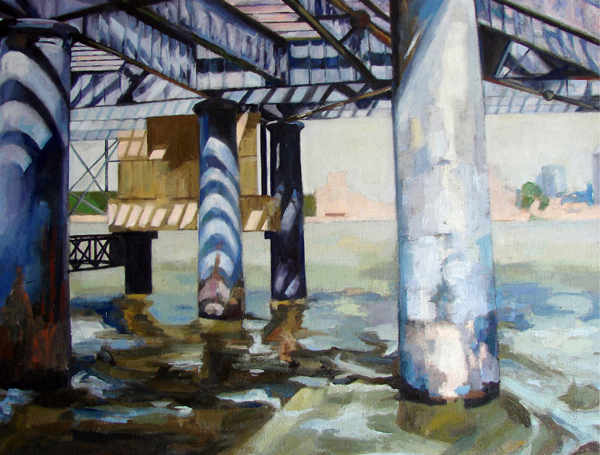 The decline of industrialisation has not diminished the artist’s passion for the area and groups of artists regularly get together to draw and be inspired by the river and the buildings that still border on it. 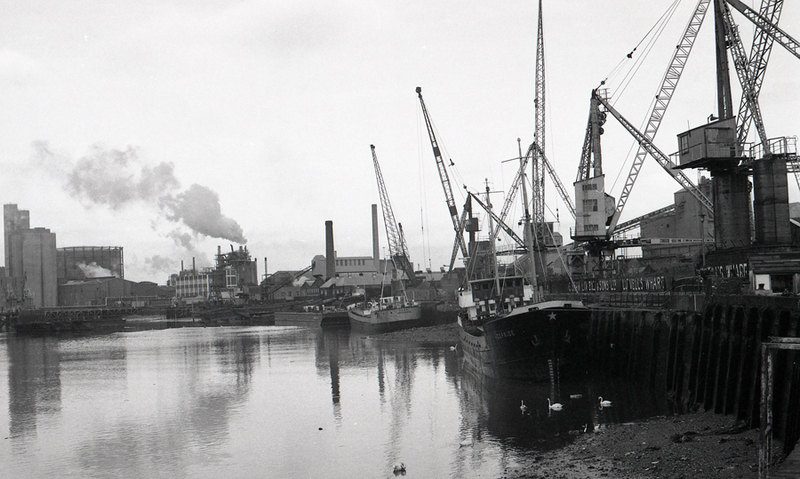 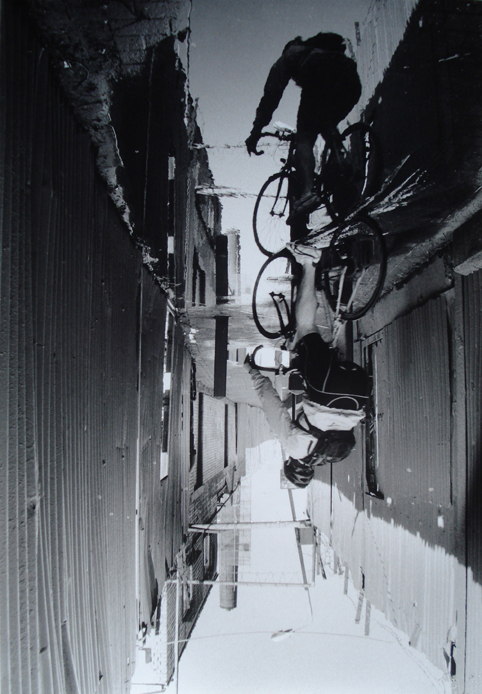 The riverside is a mecca for photographers and film makers too, affording interesting locations and exciting photo opportunities. 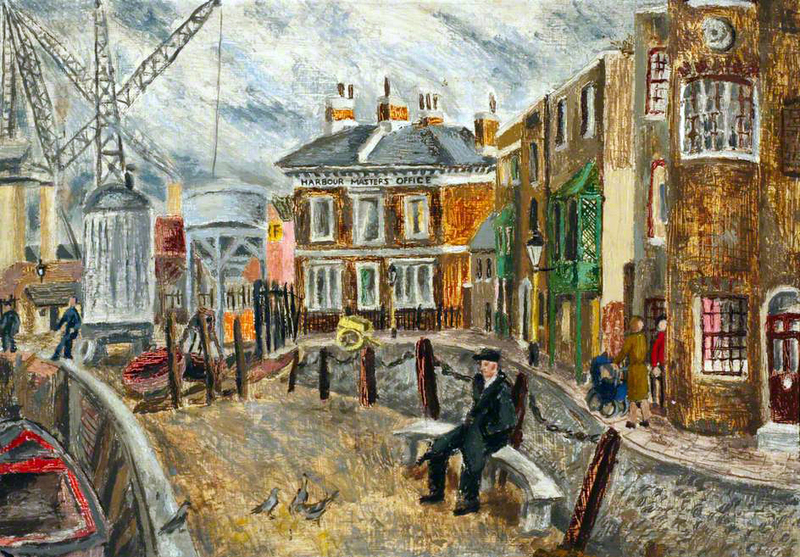 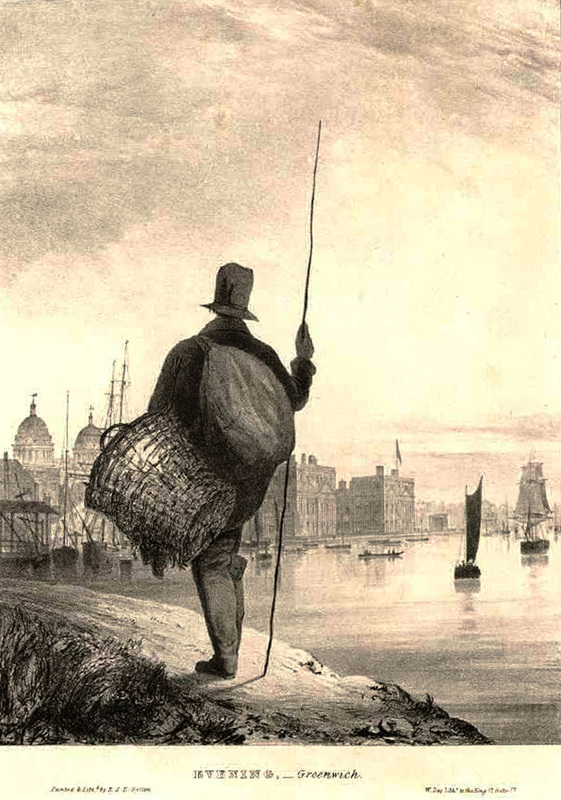 A shore fisherman wends his way home along the riverside footpath towards Ballast Quay, with a basket of freshly caught eels, or other fish. 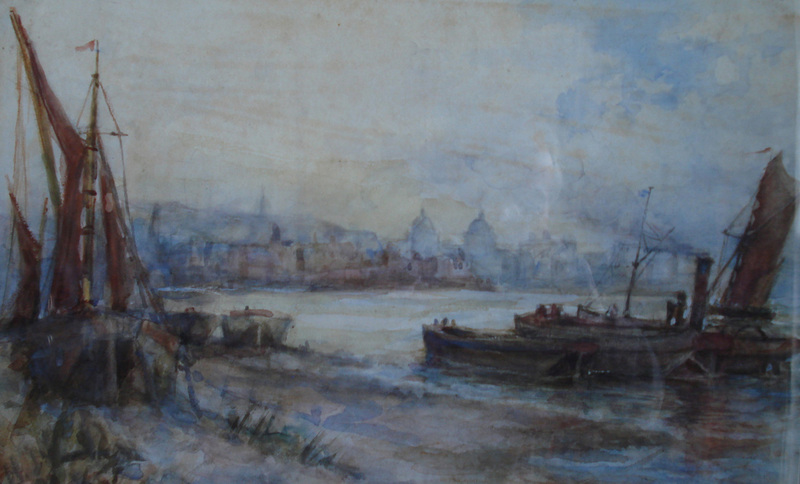 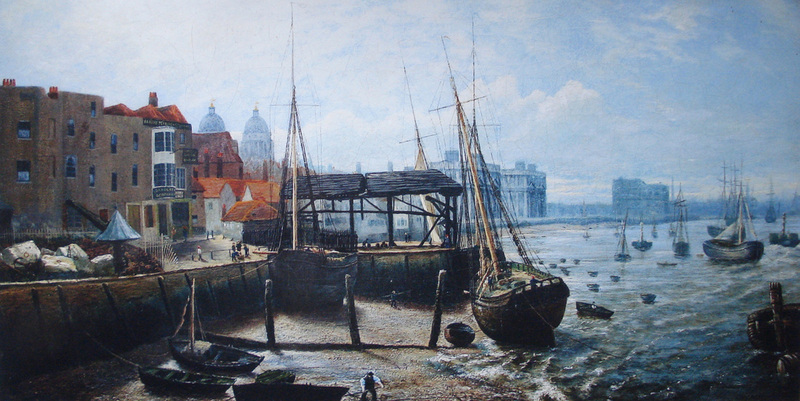 Visible in the middle ground are the cranes on Anchor Iron Wharf with ships at their moorings, and in the distance the buildings of Greenwich Hospital.